Please consider a donation to help us cover our expenses. We’d really appreciate it! Visit the NWTekno thread here. Before joining together, each of them had made a name for themselves performing and recording as solo artists and with other groups. While Sebastian made young girls (and boys) weep with his mix of heartbreakingly beautiful and totally head-banger violin work in bands in Europe and the U.S., John was ripping up stages up and down the west coast with his totally cosmic cello playing – let’s just say he was doing experimental soundings and the whole looping thing long before Zoe Keating or Loop Station. In the meantime, Peter was entertaining crowds at art festivals both state-side and around the world with his stellar bass playing and penchant for weird noise, outrageous costumes and whimsical theatrics. Susan was all over the place: getting international airplay as the singer for a gothic-electronic band and as a featured vocalist on two world music albums–and perfecting her innovative vocal stylings through collaborations with classical, electronic and experimental artists around the world. EQlateral is a fascinating juxtaposition of world-class classical musicianship, electronica and avante garde artistry. Expect soaring soundscapes, irresistable grooves, eerie ambience, comedic mash-ups and much more. The ensemble regularly collaborates with other musical, performance and multimedia artists and are looking forward to sharing their unique sound with audiences in Europe in 2008. Osiris Indriya creates real magick on the dance floor through an explosion of tribal percussion, deep atmospheres, and chunky relentless basslines. His hard and funky psytrance and tribal progressive sound has been featured along side Shpongle, Hallucinogen, KoxBox, Ticon, and LOUD and has made him as an official label DJ for Iboga Records from Denmark. 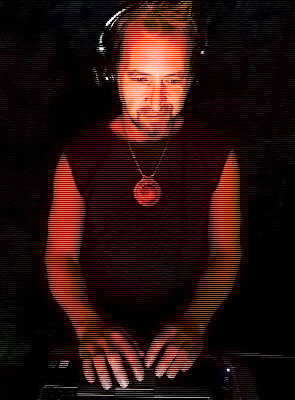 He has performed peak hour sets at Shambhala Music Festival in Salmo, BC; the Earthdance hub event in Laytonville, California; The Dreamtime Festival in Paonia, CO; The Double 6 in Kuta, Bali; and countless underground forest parties, beach parties, club nights and concerts in the US, Canada, and Japan. 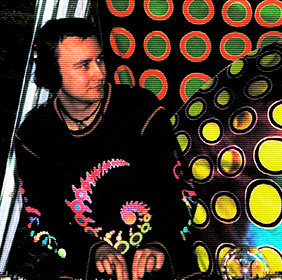 As a major creative force in Seattle’s thriving dance music scene, Osiris co-founded the Oracle Gatherings in 2001 and helped start Infinite Connections in 2005, branding IOSIS Art Parties and co-producing the massive semi-annual Kinetic and Magnetic events at the Pacific Science Center. As his dance floor audiences grow, Osiris Indriya is continually inspired to create his own brand of original music. 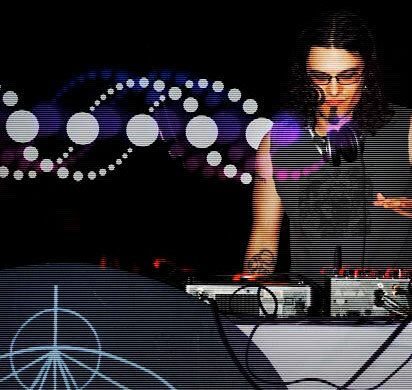 His first progressive and downtempo CD, “Reach Within” was released on Locus Music in 2005 and was followed by a remix of Antix “Little Honey” with Australia’s Sun Control Species (Iboga Records 2005). His most recent releases were featured on the first and second Entheos Gathering Compilations. The first, a warm chill out track titled “Gifted”, is in regular rotation on SomaFM’s Groove Salad internet radio. Born and raised in Vancouver, B.C., Canada, Lara’s main interests are art and music. 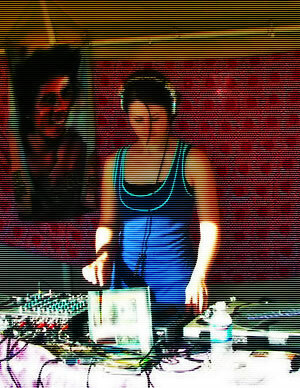 Eleven years ago when she made the move to Seattle, her life path revealed another road where she found herself deejaying the music that changed her life forever; Psychedelic Trance. Constantly drawing upon her daily experiences to push her creativity, Lara is able to balance making a living as a Games Artist, while maintaining the freedom to create art for pleasure, and DJ for fun! I love music, and have been listening to music for as long as I can remember. I produce and co-produce electronic music events on a regular basis – past projects include Renegade Soundwave, co:Nection, Chillography, h’Art Opening, Bhang Bang, 777 – Manifesting the Divine, and many others. A few years ago I realized that Seattle needs a suitable space for these kinds of events. Specifically, a space where we have no neighbors, and where noise complaints are not an issue. I finally found a space around June of 2007, and so the Transcendent Church of Bass finally found a home. Our 15,000W Mackie Fusion sound system delivers pristine audio quality. Come check it out at Dancechurch, a bi-monthly all-ages no-alcohol midweek freestyle dance that rocks! I see my role as DJ as creating a sound environment that is in sync with the audience. I’m not playing the music for myself, and therefore pay close attention to the vibe, the response to the tracks, and the movement of energy through the room. I enjoy my role as DJ, producer, and instigator – I hope to remain involved with a variety of projects aimed at building community and establishing stronger links between communities. Thomas Kiehne started out in 1991 as a DJ for college radio KUCB in Boulder, CO under the moniker ‘Net Noise’. He developed an all-electronic music specialty show named ‘Transmission-X’ and sought to expose the listening audience to a wide spectrum of electronic music from ambient to danceable to abrasive. 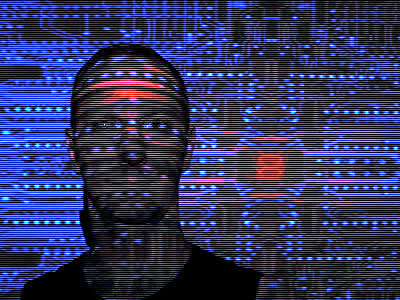 During his time in Colorado, he founded the label SDS Productions, initially as a platform for recordings of ‘Transmission-X’, but later as a vehicle for locally produced abstract electronic music. After a relocation to Austin, TX in 1995, he continued under the ‘Net Noise’ moniker while DJ-ing industrial dance, EBM, and hard techno at local dance clubs. By 1999, focus shifted away from SDS and into Last Laugh, LLC, a group that produces diverse electronic music-oriented events. The shift away from SDS mirrored the shift from ‘Net Noise’ to ‘0x86’ and an emphasis on a broad variety of intelligent and experimental electronic music. With 12+ years behind the decks, Crispy expertly covers the gamut from deep ambient and ethereal downtempo, to booty-shaking tribal progressive, psychoactive breaks, and blissful psytrance. For chill sets expect additional samplers and effects processors to spice up the mix and create a more psychedelic sonic tapestry. Be sure to check out Regression Session, a deep ambient journey of all original music, released under his Leave Trace moniker. 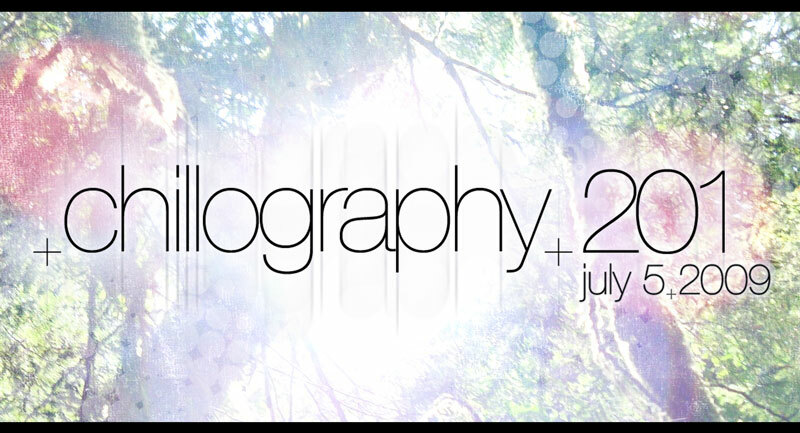 This Seattle-based DJ/producer, and co-founder of the Chillography series, will regularly be found playing at club nights, Burning Man events, chill rooms, parties, festivals and out of door experiences.